We are extremely proud and honored to announce that the world premiere of Tramontane will take place in Cannes, in May 2016, at the 55th Edition of Semaine de la Critique - Cannes / Critic’s Week. The entire Tramontane family is absolutely thrilled and looks forward to sharing the film with you! The Aide Aux Cinémas Du Monde (World Cinema Support), an initiative created by the CNC (Centre National du Cinéma et de l'Image Animée) to support international co-productions, has awarded Tramontane a production grant. Tramontane was one of seven first-feature projects to receive this award. The entire production team is thrilled and honored to accept this exceptional support to aid the making of Tramontane. We are very proud to announce that Tramontane was the recipient of the ARTE International Prize / Le Prix ARTE International at the Crossroads Co-Production Forum of the 55th Thessaloniki International Film Festival. The Prize is awarded to support films in development or preproduction. 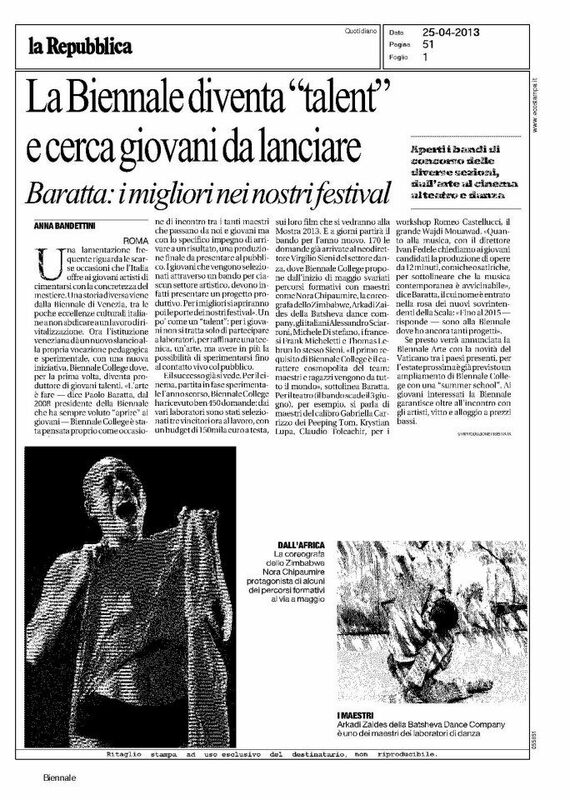 The entire Tramontane team is deeply honored and thrilled! We are thrilled to announce our partnership with Abbout Productions, one of the most prominent production companies in the Middle East. To learn more about Abbout Productions, the exceptional body of work they have produced, and the distinguished artists they represent, please visit their website here. We are very proud to announce that Tramontane has been selected to be part of the No Borders International Co-Production Market at the Independent Film Week in New York, presented by the Independent Filmmaker Project, the IFP. July 25, 2013 (New York, NY) –Today, IFP announced its 2013 slate of 163 new films in development selected for its esteemed Project Forum at Independent Film Week. Just prior to the forthcoming opening of the Made in New York Media Center by IFP, Independent Film Week takes place September 15-19, 2013 at Lincoln Center. This one-of-a-kind event brings the international film and media community to New York City to advance new projects and support the future of storytelling by nurturing the work of both emerging and established independent artists and filmmakers. 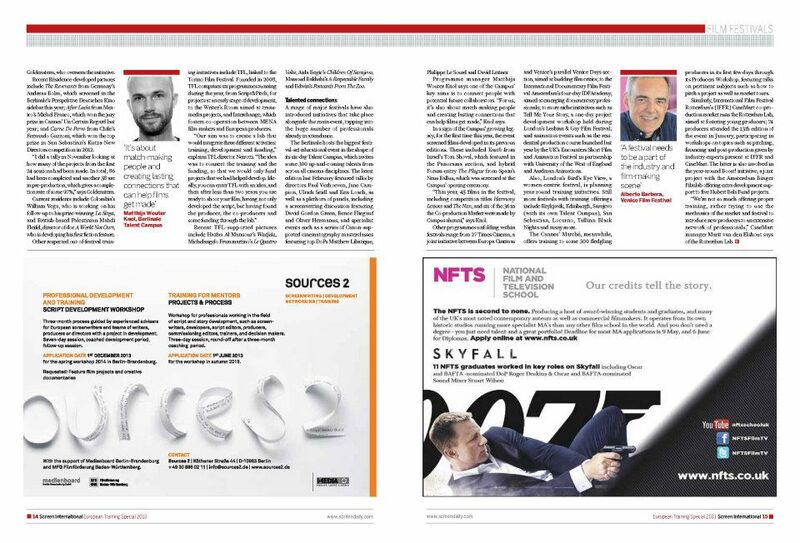 Through the Project Forum, creatives connect with the financiers, executives, influencers and decision-makers in film, television, new media and cross-platform storytelling that can help them complete their latest works and connect with audiences." - From the official press release of the IFP. To read more about IFP and this year's selection please visit the official site here. Rebus is proud to announce the support of the Doha Film Institute for Vatche Boulghourjian's debut feature Tramontane. 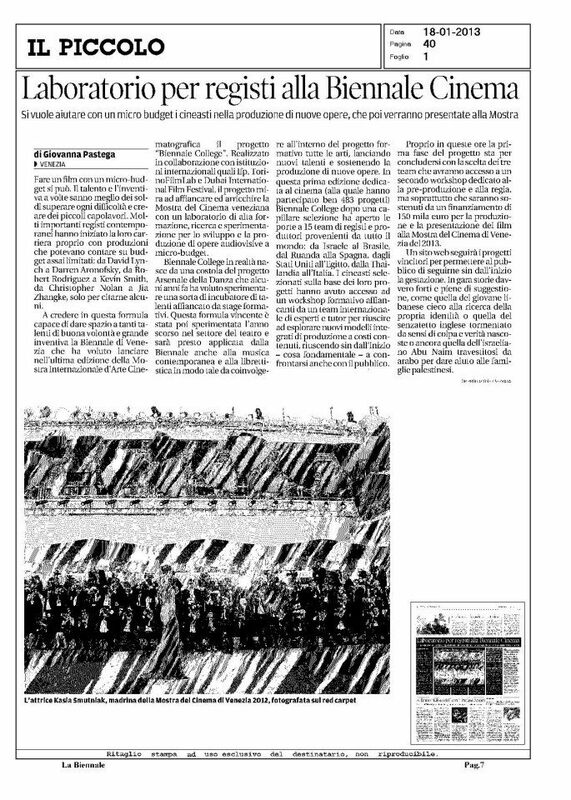 Tramontane was awarded a generous Production Grant by the Doha Film Institute. The Doha Film Institute supports films at all stages of production from across the Middle East. 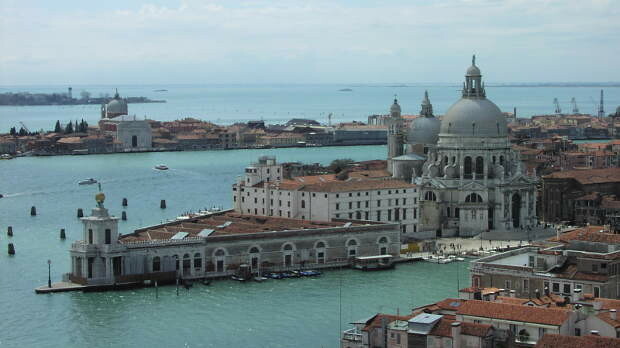 Tramontane is scheduled for production in the Fall of 2013. 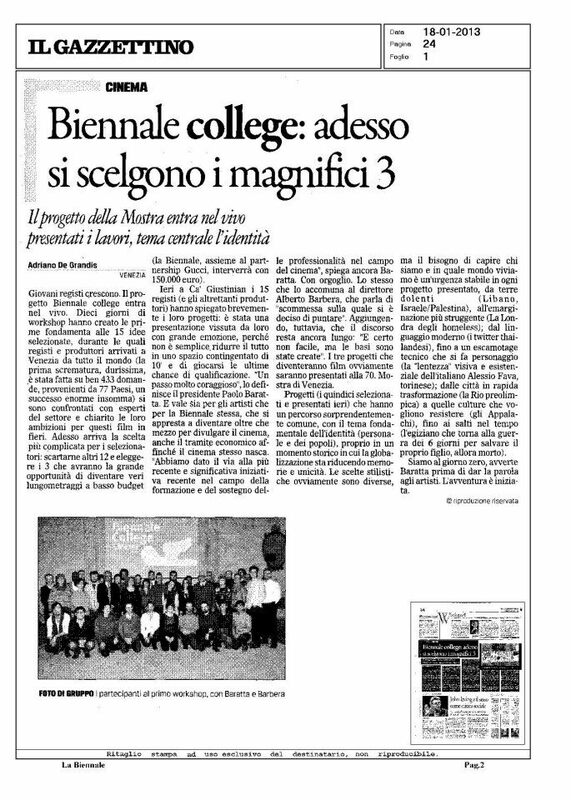 A piece in Filmmaker Magazine that captures the spirit of the Venice Biennale College - Cinema, written by Amy Dotson. 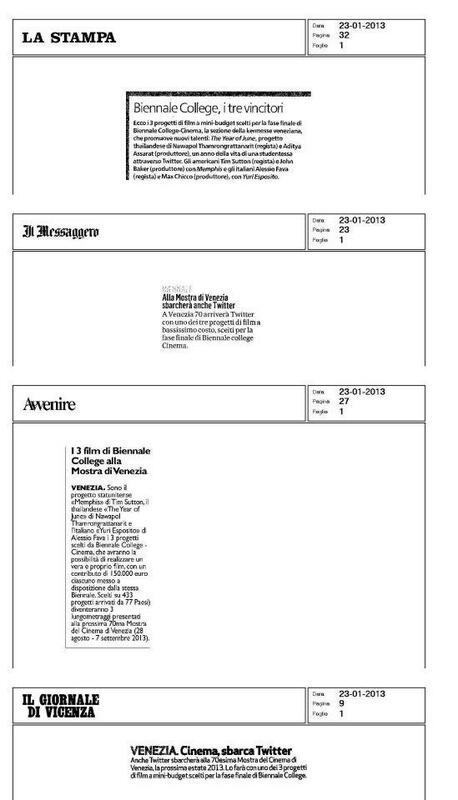 "La Stampa", "Il Messaggero", "Avvenire", "Il Giornale di Vicenza", January 23rd 2013. 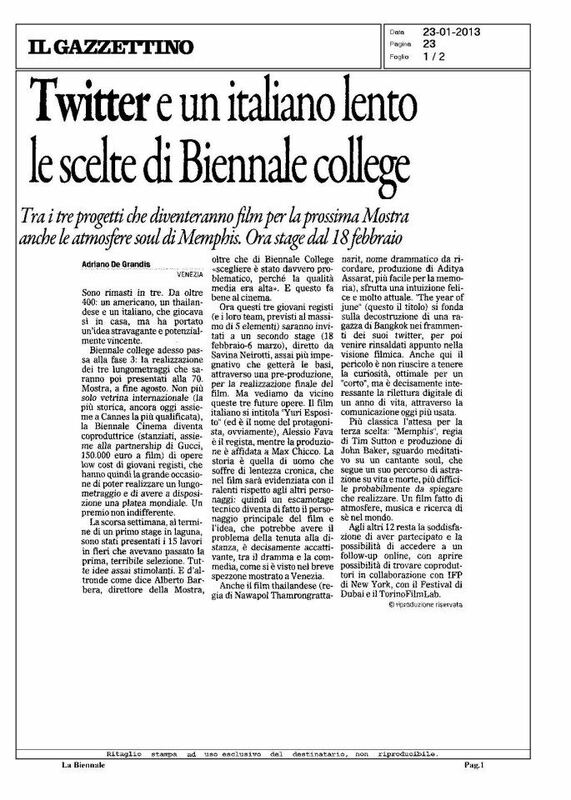 Press on the Biennale College Cinema. 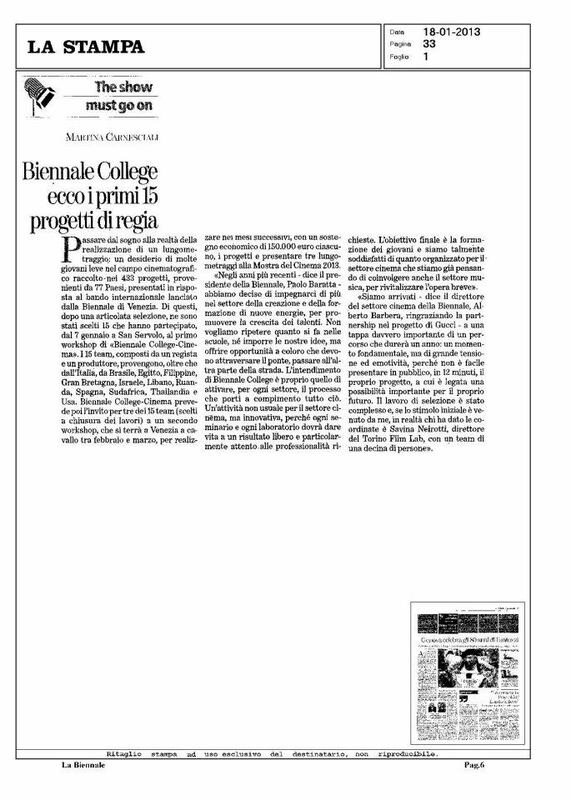 Rebus is proud to announce the selection of Tramontane to participate in the inaugural edition of the Venice Biennale College Cinema.